Let me introduce you to a plant used in medicine for tens of thousands of years. It was even a part of our neanderthal ancestors pharmacy in prehistory. But we use to link it with greek antiquity because the origin of his name is linked to a greek hero which everyone knows, and also because it is mentionned in the great books of herbal lore of antiquity. It is a plant undeniably linked to the battlefield and war in general as the title of this article suggest. According to Pliny the Elder, the Roman naturalist of the first century AD, its name comes from Ἀχιλλεύς(Achilles), hero of the Greek mythology, who used it to heal Τήλεφος(Telephus) wounds in the Trojan war. 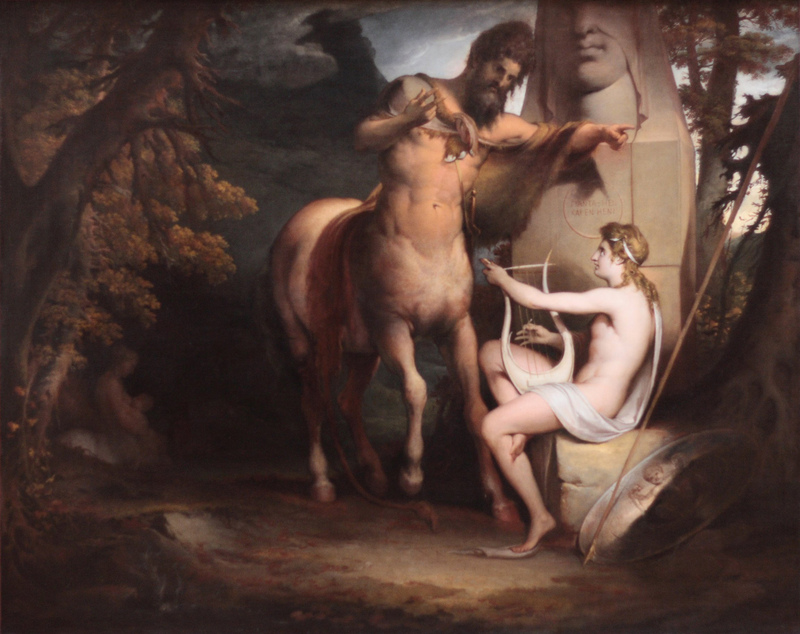 This herbal secret, according to Ὅμηρος(Homer), was conveyed to his pupil by Χείρων(Chiron) the centaur. Achillea millefolium was also mentionned by Πεδάνιος Διοσκουρίδης(Pedanius Dioscorides) as an incomparable plant to heal wounds and ulcers. In antiquity, it was known as herbal militaris for its use in stanching the flow of blood from wounds. In fact, as far as we can go back in time, it as always been a part of the European pharmacopoeia. The second part of the name, millefolium, means thousand leaves because of the shape of the leaf. 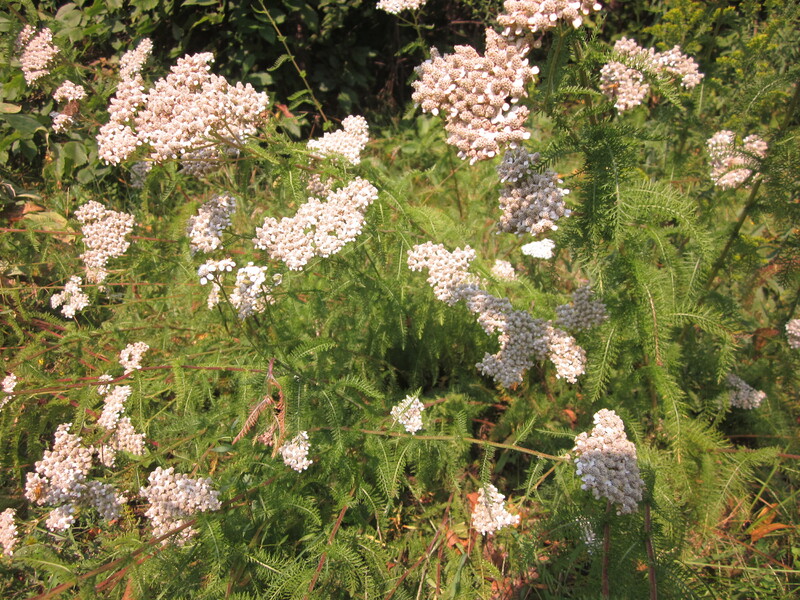 Achillea millefolium is commonly known as yarrow nowadays. The English name yarrow comes from the Saxon word gearwe, which is related to both the Dutch word gerw and the Old High German word garawa. Other common names for this species include gordaldo, nosebleed plant, old man’s pepper, devil’s nettle, sanguinary, milfoil, soldier’s woundwort, thousand-leaf, and thousand-seal. It is a flowering plant in the Asteraceae’s family . It is native to the temperate regions of the Northern Hemisphere in Asia, Europe, and North America. This herb is purported to be a diaphoretic, astringent, tonic, stimulant and mild aromatic. It contains isovaleric acid, salicylic acid, asparagin, sterols, flavonoids, bitters, tannins, and coumarins. The leaves encourage clotting, so it can be used fresh for nosebleeds and wounds. 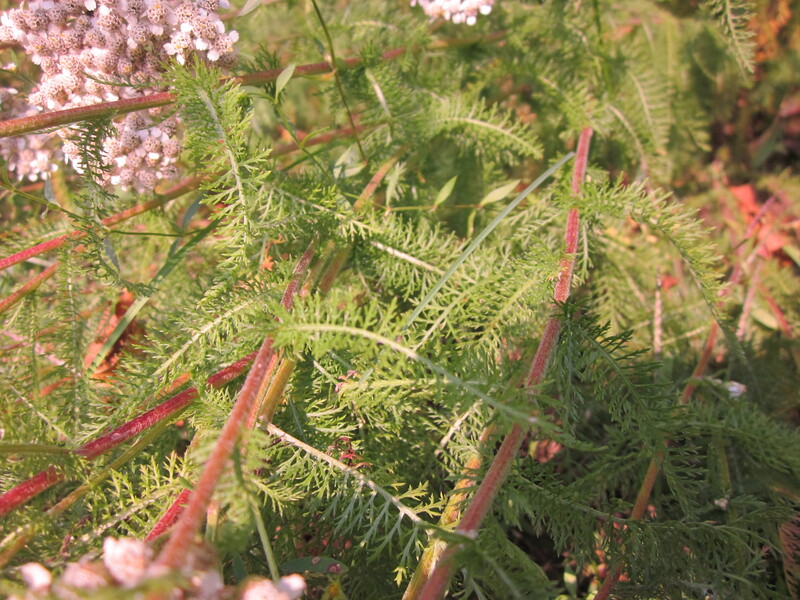 The aerial parts of the plant are used for phlegm conditions, as a bitter digestive tonic to encourage bile flow, and as a diuretic. The aerial parts act as a tonic for the blood. It stimulate the circulation and can be used for high blood pressure. It is also useful in menstrual disorders, and as an effective sweating remedy to bring down fevers. 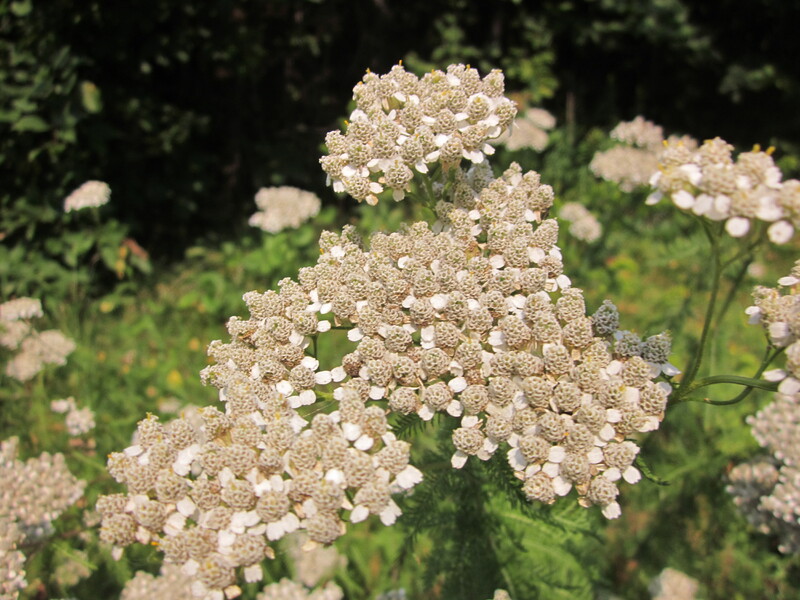 Yarrow intensifies the medicinal action of other herbs taken with it. It is reported to be associated with the treatment of the ailments such as pain, antiphlogistic, bleeding, gastrointestinal disorders, cholereticinflammation, emmenagogue and stomachache. It can be used as an oil, infusion, tincture, liquid extract or even fresh. I could have talked about this plant a whole day but now I have to go back to work; cucumbers, tomatoes, spaghetti squashes, onions, etc… needs to be harvested. So I leave you with the Achillea millefolium who’s also asking to be harvested right now through the whole northern hemisphere. Make good use of the centaur herbal secrets and maybe you will become a European hero yourself! Hail Achillea millefolium! -ΤΑΓΜΑ-Ελληνικό Εθνικοσοσιαλιστικό όργανο. Θέμα Απλό. Από το Blogger.